The bill also includes line items for broken glasses and decanters. Oh, and that list doesn’t include the booze for the musicians — that was itemized separately. Sounds like quite a celebration! 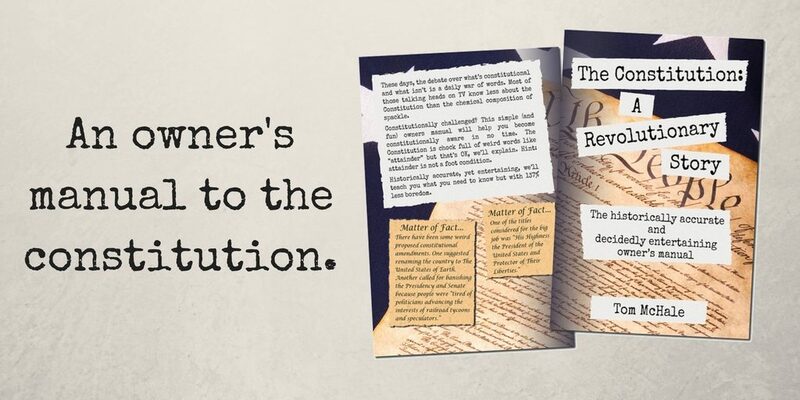 Hope you enjoyed this short excerpt from The Constitution – A Revolutionary Story. It’s full of historically accurate yet entertaining knowledge about the process leading up to the Constitution and the meaning of that old parchment. You know things are really bad when people thing that forming another Congress will make them better. Excerpt From: The Constitution: A Revolutionary Story: The historically accurate and decidedly entertaining owner’s manual.